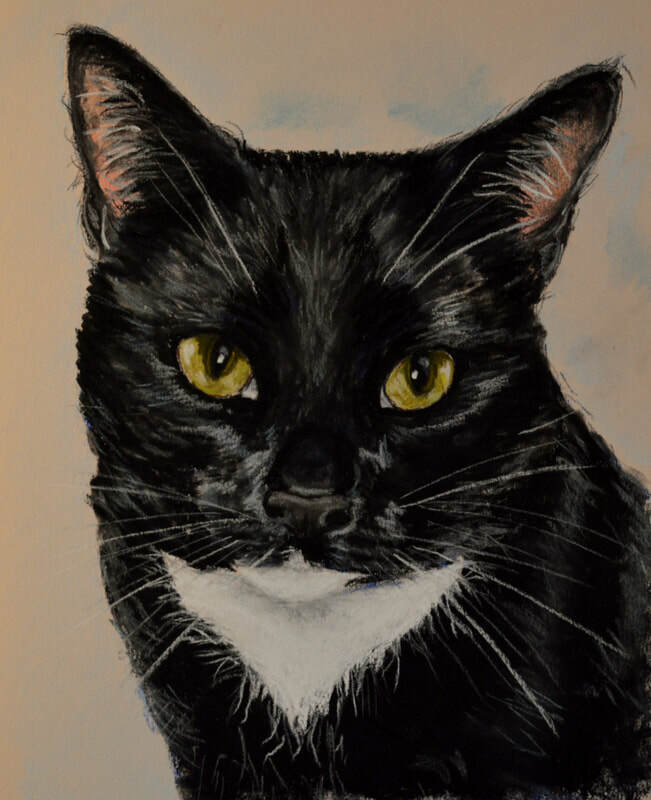 Soft pastel by Susan Sweet available at the show! The studio is starting to get very busy. This time of year I am working on a variety of fun and interesting projects for customers across Canada. The custom ornaments I make are scattered around the space, in various stages, and orders for these are coming in daily. I started making the ornaments in the late 1980's, a very primitive start to what has evolved into realistic renderings of mostly pets, with the occasional house, vehicle or wild animal thrown in. While I also used to make many other small animal themed items, the ornaments are what remains. I will sketch a line drawing of an animal from your photo, and then use that sketch to draw onto local pine that is planed to about 1/4" thickness. 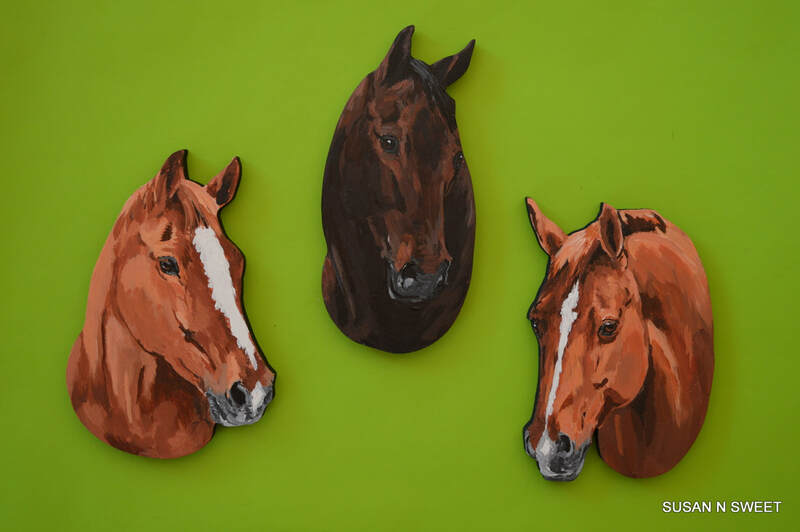 I cut the animals out with a large scroll saw and then sand, prime and paint them to match your pet. Each is individually made and no 2 will be identical. 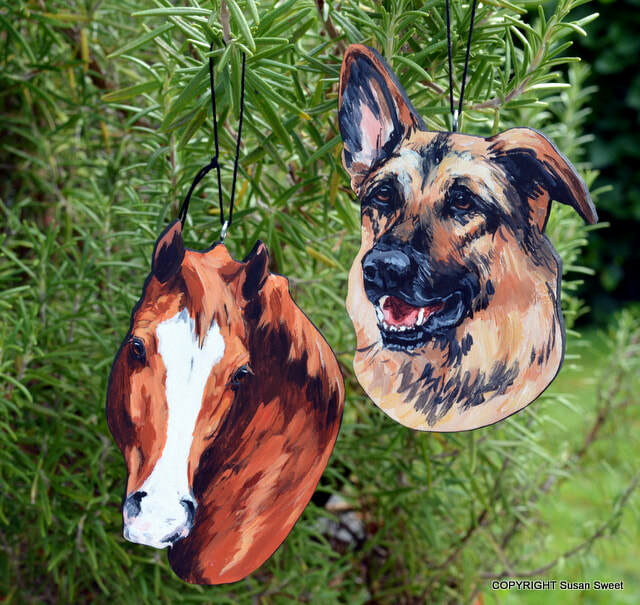 Finish them off with a varnish and attach a hanger and the ornament is ready to go. 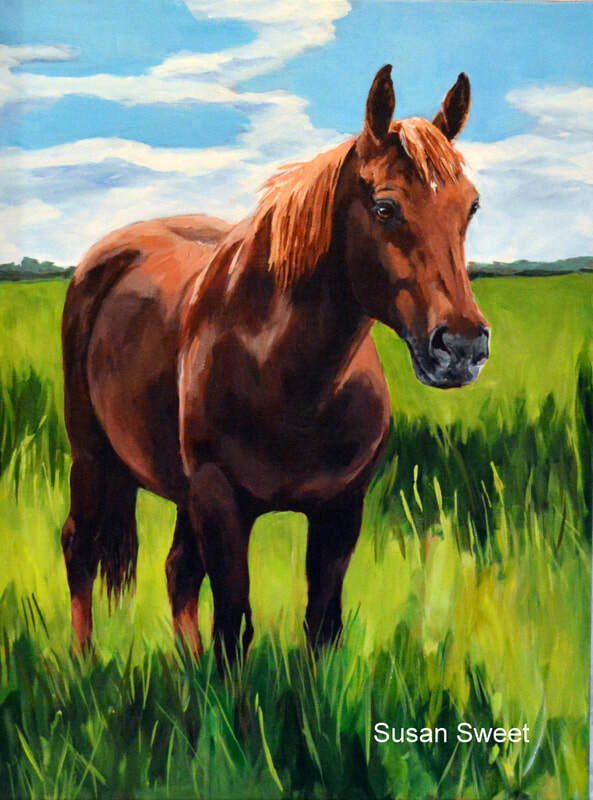 Other custom projects include portraits in pastel or acrylic starting at 4 by 4" and the sky is the limit! The Sweet Spring Art Show is fast approaching! 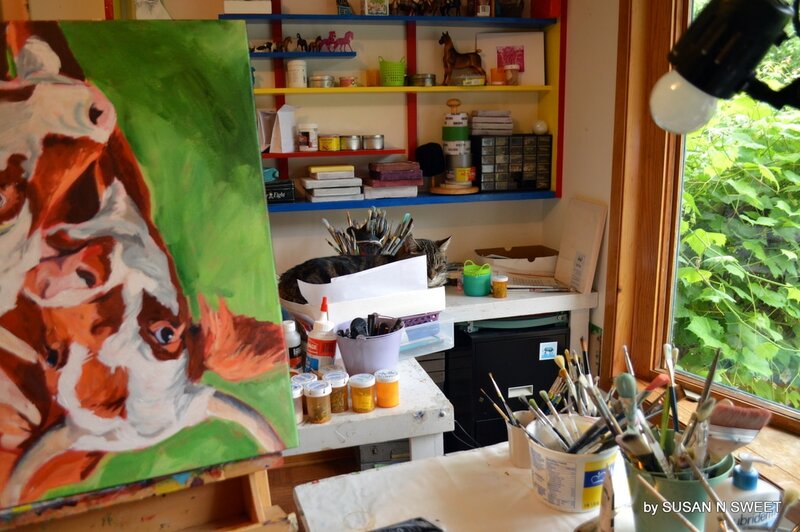 I am looking forward to welcoming friends, family and visitors to the studio on May 19 and 20. 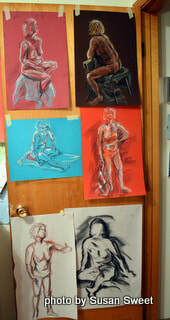 Guest artists include Judy Arsenault, Helen Painter and Lois Golfman. Complimentary refreshments and lots of new art with a few spring specials as well. November 25 is my next and final day selling Helen Painter Cards at the Halifax Seaport Market. My stall is upstairs in the mezzanine, near the centre staircase. 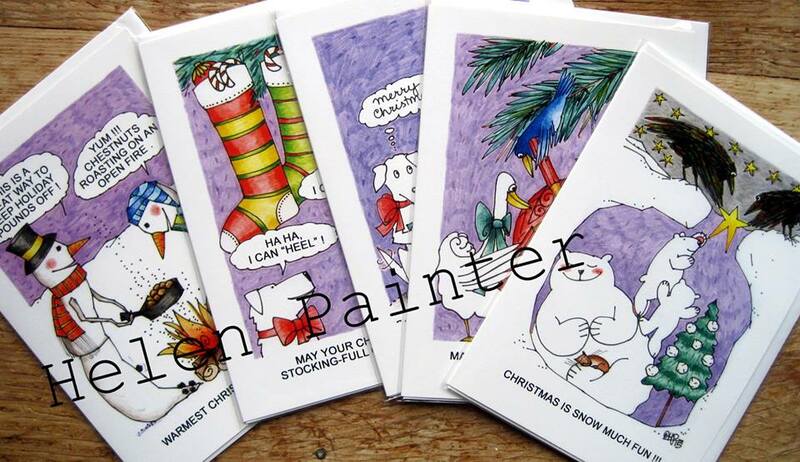 I will have a great selection of Helen Painter cards, both everyday and Christmas designs, plus an assortment of my own hand made and hand painted ornaments and small farm animal paintings. Maybe even a large painting. Be sure to stop by if in the area and say hello. That weekend will probably be the final opportunity to order custom work for 2017 completion. 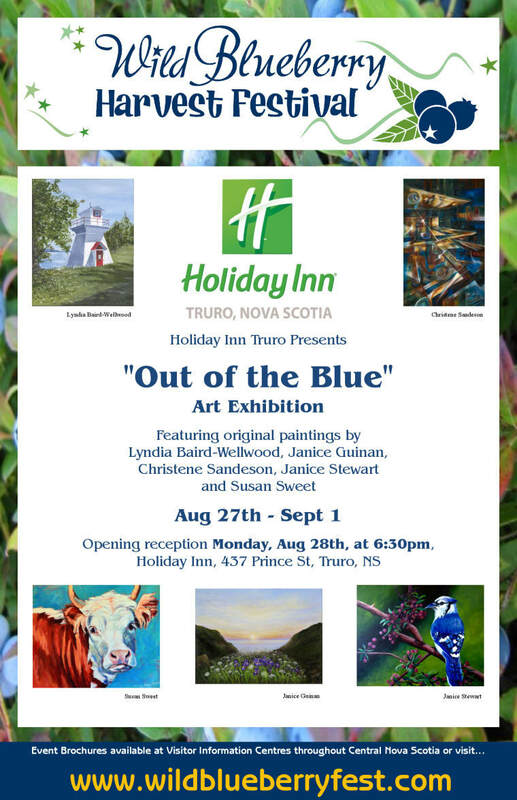 Out of The Blue opens tomorrow at the Holiday Inn in Truro. Join us for the reception Monday evening August 28 at 6:30 pm. Show is open daily until September 1. 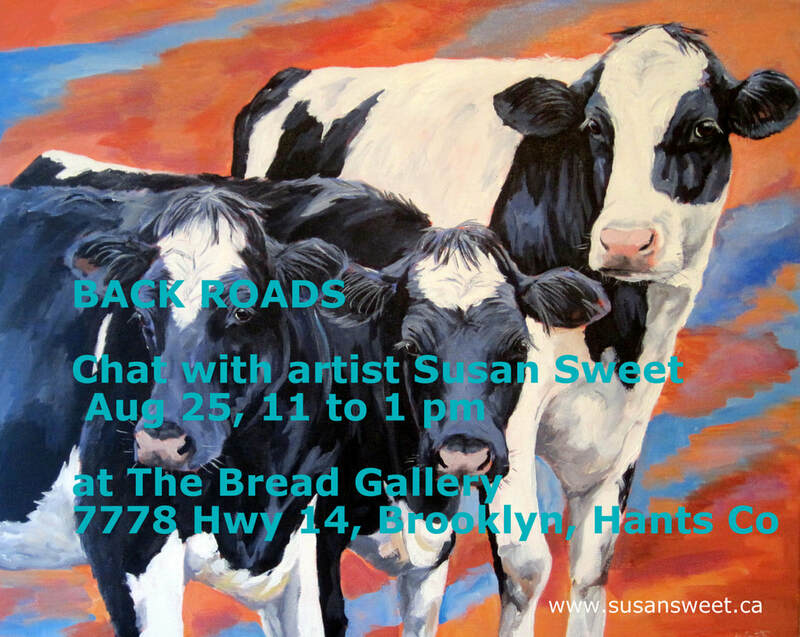 It has been a super summer show at The Bread Gallery for Road Trips and Cowscapes. There was a wonderful turnout of friends and family for the opening on July 7, and I wish to thank everyone who has made the effort to see the show over the past few weeks. The Bread Gallery offers air conditioned comfort and lots of baked goodies for purchase too! Presenting a show with so much new work is always a lot of hard work and it is often a bit overwhelming to see the finished work on the walls. The Bread Gallery has a gallery space that seems to be tailor made for my work. I enjoy the privilege of showing there and thank the owner, Joan MacKenzie, and her staff and family for hosting my work for this summer show. The End of the Road for the show is September 3rd. OPen Tuesday to Sunday. Road trips and Cowscapes opens in just a few days. The studio is total chaos, there is a bit of last minute painting, varnishing, framing, documenting, and of course a lot of assistance from Bobbi North, the studio cat. I feel fortunate that the summer temperatures have remained moderate and I could work without dragging my portable air conditioner up from its basement winter habitat. The show goes up on Wednesday and opens Friday night at 6 pm. 7778 Highway 14 in Brooklyn (also known as Newport) Hants County, Nova Scotia. The Bread Gallery is also a very good country bakery and they offer a variety of breads and treats, with Java Blend coffee. 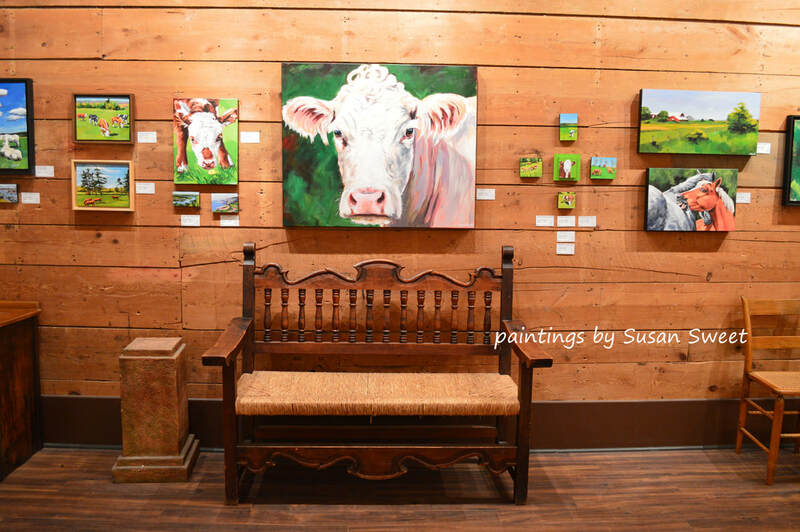 Susan Sweet is an artist living along the beautiful Hants County shoreline in Eastern Canada.